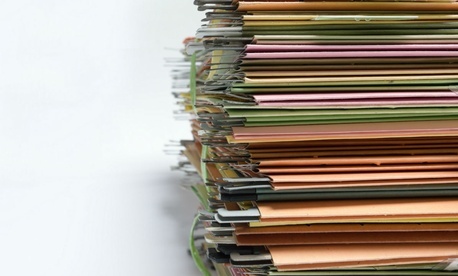 The Office of Personnel Management made some headway on retirement claims in March, processing 9,222 applications – the most claims it has managed to complete in one month since October, according to the latest data. The March backlog of 19,211 claims still presents a major challenge for the agency, but it’s down from February’s total of 22,692 claims, which was the highest the backlog had been since February 2015 when it stood at 24,014 claims. And it’s slightly better than the March 2015 backlog of 20,594 claims. The fact that OPM only received 5,741 new applications in March gave the agency a much needed-breather. OPM was inundated with 15,423 new claims in January, and 11,293 new applications in February. Retirement claims typically spike in January, and then settle to lower levels for the rest of the year, but the number of new applications submitted tends to go up and down from month to month. Eighty-two percent of retirement claims were processed in 60 days or less for the year to date in March, the same rate as in March 2015, according to OPM; it took 44 days on average to process a case in 60 days or less, which is the highest that number has been since August 2015. 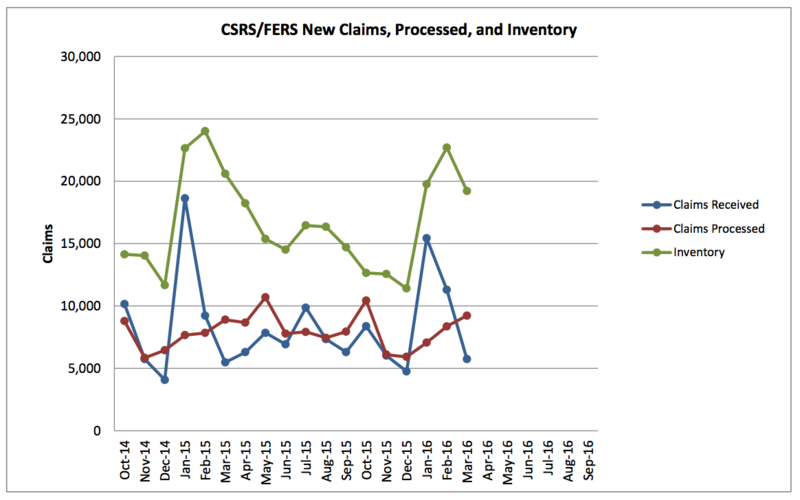 OPM also is backsliding on the average number of days it took to process claims older than 60 days. In March, that figure was 118 days, the highest that number has been in more than a year. Clearing up the retirement claims backlog has been an ongoing struggle for OPM and a constant source of frustration for federal retirees and members of Congress, who hear lots of complaints from their constituents. OPM originally attempted to eliminate the backlog by the summer of 2013, but sequestration forced the agency to scale back its ambitions. Ken Zawodny, OPM associate director of retirement services, has said that OPM will never fully eliminate the backlog because there will always be cases that take time to process. Many cases that take more than 60 days to complete are delayed because the agency needs more information from retirees, according to OPM.